Butcher will lead the existing GIS Asset Management practice efforts and brings 20 years of senior management success developing, integrating and aligning technologies to meet customer business needs and objectives in the private, public and government sectors. "Ron brings considerable depth in the EAM/CMMS and GIS integration space. He understands the challenges of managing the built environment and how best to leverage technology to maximize return on investment. Timmons Group, a leader in geospatial consulting and application development, is pleased to announce the addition of Ron Butcher to the Geospatial Division. Butcher will lead the existing GIS Asset Management practice efforts and brings 20 years of senior management success developing, integrating and aligning technologies to meet customer business needs and objectives in the private, public and government sectors. His proven track record in successful implementations of Computerized Maintenance Management Solutions (CMMS) and Enterprise Asset Management (EAM) solutions are consistent with the superior customer service Timmons Group strives to provide clients. Before joining Timmons Group, Butcher was pivotal in expanding Woolpert, Inc.’s territory for geospatial and infrastructure asset management. 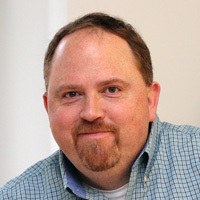 He holds an MBA in Management Information Systems from the University of Dayton and a BS in Computer Science from Park University. He is also a registered GIS Professional (GISP) and GIS Surveyor (GISS).